We adjusted to your measurements by our specialists. 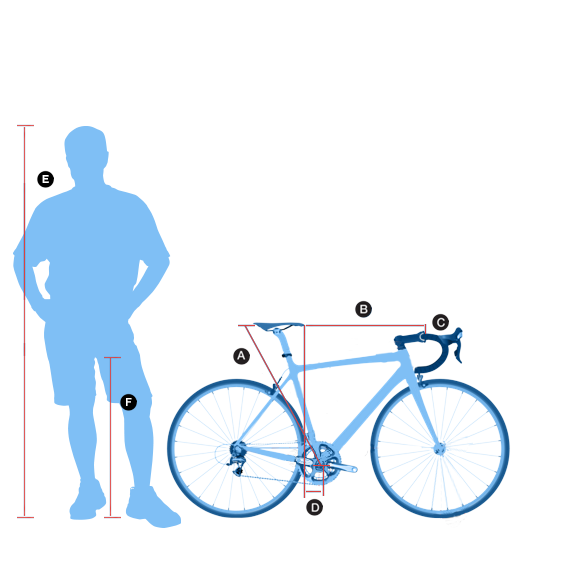 If you already own a bike, take measurements as indicated A, B, C, D and give them to us so we can fit your bike precisely. If you don’t own a bike or are unsure of your adjustments, take measurements of F (inseam length) and E (height) to adjust your bike. When you come pick up your rental a professional will fine tune the adjustments. © 2013 Copyright by rentaracebike. All rights reserved.